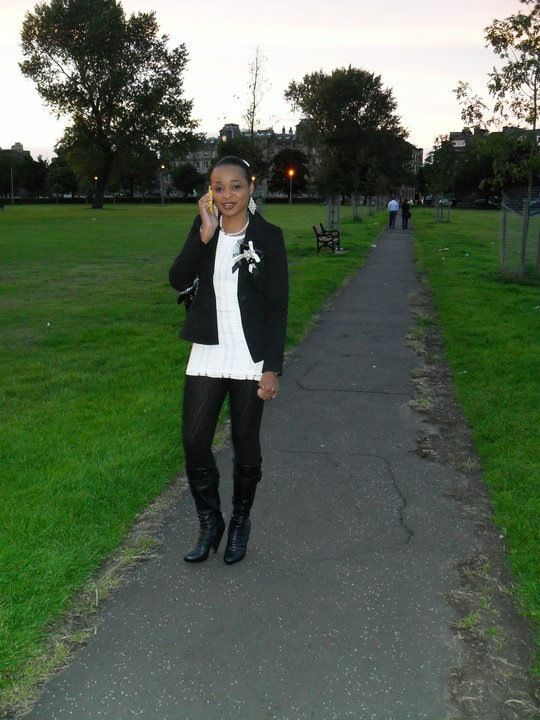 Our fashion diva of the week is the beautiful Lilian Nnaegbuna from London. 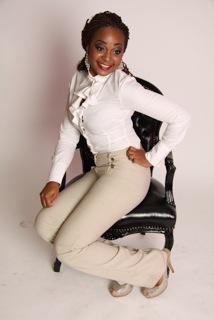 Lilian is wearing a frill shirt from T M Lewin, a high waist long trouser from Zara, silver peep toe shoes also from Zara. She accessorised her look with silver earrings from Dorothy Perkins. One word – Sophisticated. 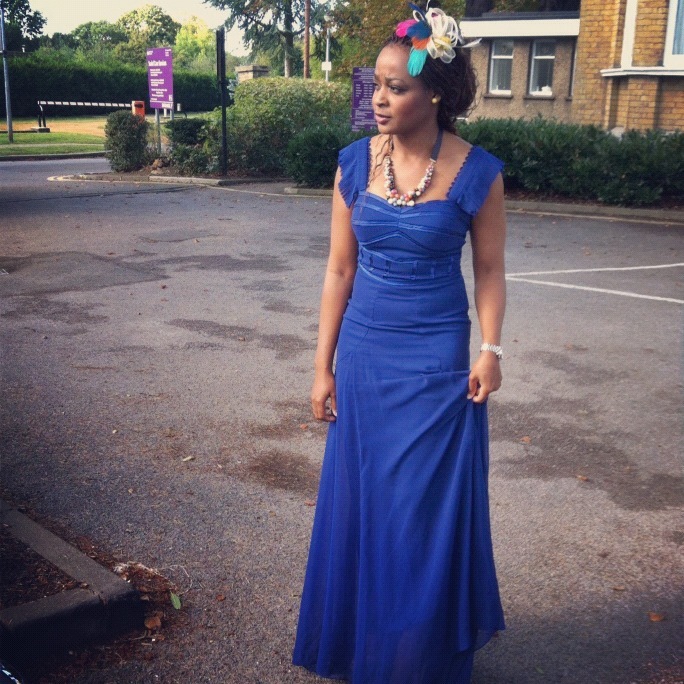 Here, Lilian is dressed in a long fitted blue dress From Cocosa by Mikael Aghal. She accessorised her look with earrings and neck piece from French Connection, her beautiful fascinator is from New look and a silver watch from Michael Kors. I love this playful look. 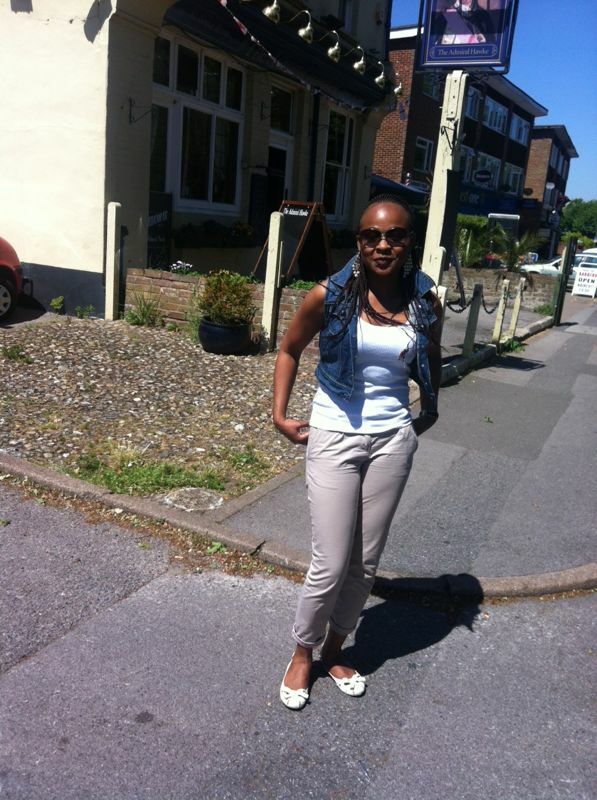 The tank top is from H & M, the jeans jacket is from New look, trouser is from Gap and cream flats from Dune. She accessorised this look with earrings from Dorothy Perkins, sunglasses by Ralph Lauren and a watch from AX Paris. For her final look, Lilian is wearing a black dress from Lipsy, black tights from Primark, black boots from Matalan. She accessorised this look with a brooch from Dorothy Perkins. I love all four looks. Love the TM shirt and Zara pants combination, very cool look. Yea we love it too.